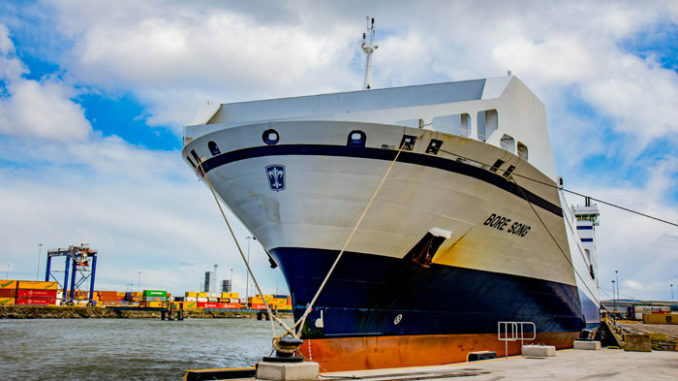 P&O Ferries has revealed it plans to lift capacity on its Zeebrugge-Teesport route by almost 25% within the next month in order to create a gateway to Scotland via the North-Eastern port. The 12 sailings a week service is provided by the 25,000 ton Bore Song and the 10,000-ton Mistral. Customers will benefit from P&O Ferries’ plans to increase the capacity of its ships combined with the introduction by PD Ports of a new rail service to Mossend in Scotland. P&O chief executive Janette Bell said: “The most reliable way for exporters to or from Scotland to transport their goods is via Teesport. Frans Calje, chief executive of PD Ports, added: “PD Ports is at the centre of an increasingly important logistics hub based at Teesport. “We have a strong and historic partnership with P&O Ferries and we are supporting this expansion by providing additional capacity for their upsized Zeebrugge-Teesport route through even more investment in our rail services to Scotland. P&O Ferries is a leading pan-European ferry and logistics company, sailing 27,000 times a year on eight major routes between Britain, France, Northern Ireland, the Republic of Ireland, Holland and Belgium. It operates more than 20 vessels which carry 8.4m passengers and 2.3m freight units annually. Together with its logistics division, P&O Ferrymasters, the company also operates integrated road and rail links to countries across the continent including Italy, Poland, Germany, Spain and Romania. P&O Ferrymasters also owns a rail terminal in the Romanian city of Oradea, which facilitates the onward movement of goods to Britain from Asian countries via the Silk Road.